Take one of Google’s signature life sciences projects: a device that offered the promise of diagnosing cancer long before someone showed any symptoms. It’s inspired by Star Trek’s medical tricorder, a diagnostic super-computer. Here’s the idea they have been chasing: One problem with cancer is that we often don’t catch it soon enough, and screening tests as they are right now don’t necessarily solve that problem. There are a few initiatives trying to figure out how to decode cancer diagnostics. But so far, they’re focusing on testing blood samples. Verily’s tricorder project is trying to go a step further — to be looking out for cancer cells all the time from within your body. If that all sounds perhaps a little incredible, that’s because it is. STAT highlighted a few problems with this idea. First, researchers would need to figure out how to keep the nanoparticles from being absorbed by your liver or even the very cancer cells they’re meant to flag. Second, they’d need to make sure the particles don’t disrupt blood flow. Third, they’d need to find a balance between missing cancers they should have caught (false negatives) and seeing cancers that aren’t really there (false positives). And that’s by no means a comprehensive list of the potential road blocks. 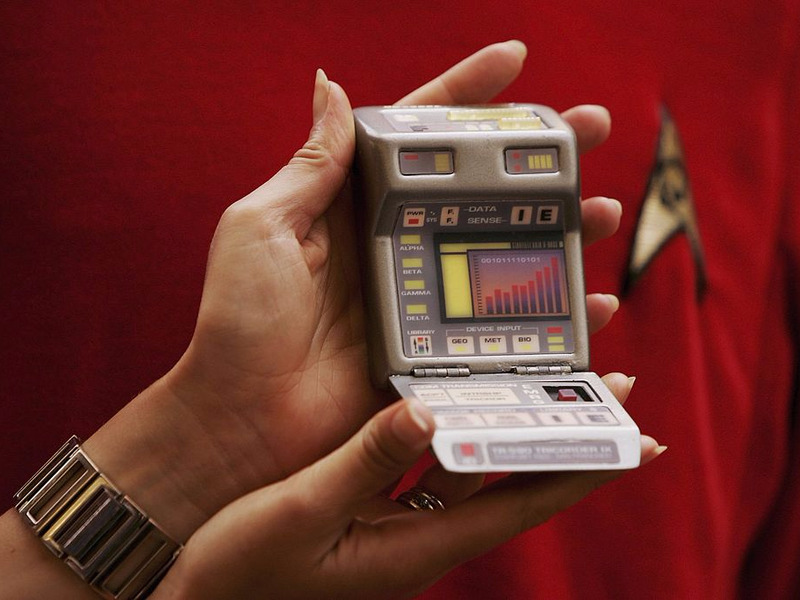 It isn’t clear how much progress Verily has made so far on the tricorder, since they haven’t published any papers about the process. But when the program was announced, Verily CEO Andrew Conrad said they’d have a prototype in six months. It’s been three years. You can read Charles Piller’s whole deep dive at STAT.